yesterday was another fantastic day, I had two new patients that tried everything and where ready to go ahead with surgery.I assured them that spinal disc decompression therapy would heal their disc and prevent a surgery. I also assured them that they made the right decision my choosing my practice as I am one of the most Dedicated Chiropractors in New York City and they picked the finest Spinal Decompression Center in Manhattan. Also my new website www.nycdisc.com is almost finished. In the next two to three months I Expect to be a household name within the metropolitian area of New York and the expert and an authority on Spinal Decmpression and Chiropractic. 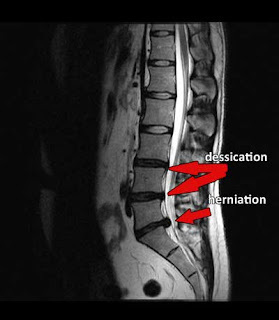 So any that is currently researching Non Surgical treatment for herniated disc will know that the best solution is Spinal disc Decompression. My centers excel in treatment of both Cervical and Lumbar Disc problems.